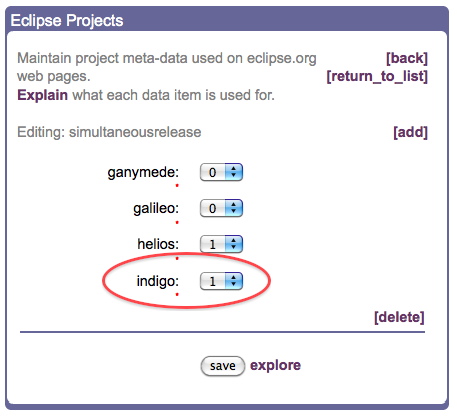 Joining the Eclipse Indigo Simultaneous Release? 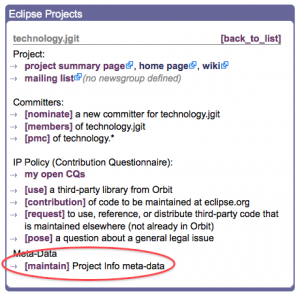 On top of that, I suggest sending an email with your intent on joining the release to the cross-projects-dev mailing list. Once you stated your intent, you’ll have to contribute to the Indigo build. Hope this helps and good luck with joining the simultaneous release! In my opinion, the simultaneous release is one of the coolest things we do for the Eclipse community. 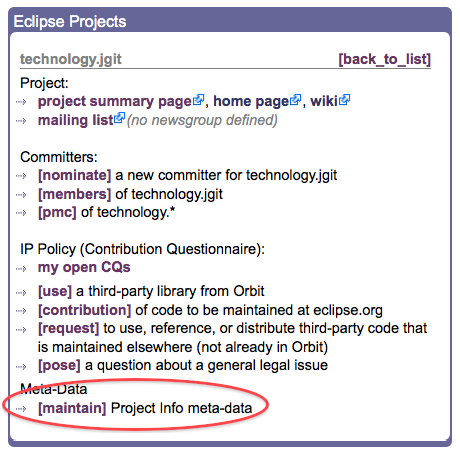 It’s indicative of the level of professionalism we have within the Eclipse community by shipping so much projects on time.